While deportation orders in Germany are up 17 percent, the number of migrants who have actually been sent to their home countries is down to just four percent, a German newspaper reported. 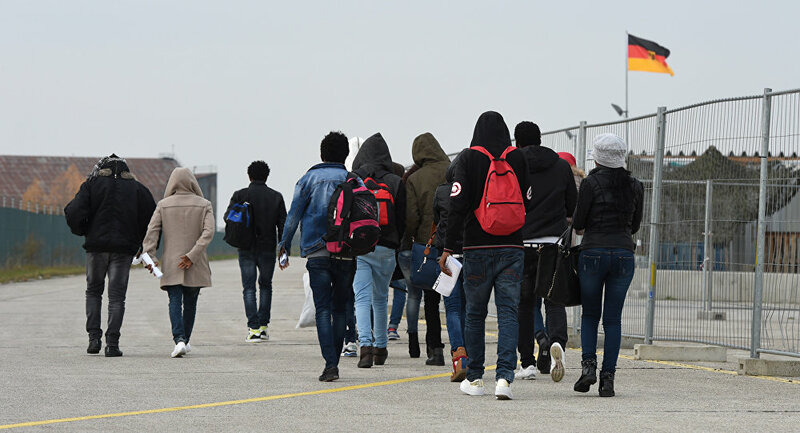 More than half of the migrants ordered to be returned to their countries of origin remain in Germany simply because they couldn’t be located, the Welt am Sonntag wrote, citing an internal police report. According to the report, only 11,000 of the 24,000 deportations scheduled were completed between January and May. Around 11,000 people were not even found at their registered addresses on the day they were due to be sent back to their home countries. An unidentified number have apparently gone into hiding. The report also mentions hundreds of cases when deportation orders were not executed due to active or passive resistance by the deportees, most of them from Nigeria and Guinea – more than 60 percent from each country. Somalis and Syrians respectively account for 50 and 40 percent of resistant deportees. “It creates an enormous amount of work for the federal police that every second person to be deported is ultimately not delivered by the responsible state and local authorities," Federal Police Union chairman Ernst Walter told the newspaper. However, Federal Labor Minister Hubertus Heil, argues that some of those being deported shouldn't be. Heil, who is a Social Democratic Party member, is against deportations of well-integrated refugees. “I sometimes have the feeling that the wrong people are forced to leave Germany," the minister said, as quoted by the newspaper Augsburger Allgemeine. He added that this was a blow to German companies that have invested money in training their young migrant workers. The increasing number of deportations is part of the “Migration Masterplan” launched earlier this month by Interior Minister Horst Seehofer in a bid to toughen border and immigration controls. The initiative clashes with the open-door policy pursued by Chancellor Angela Merkel since the start of the 2015 refugee crisis. According to the European statistics office Eurostat, Germany took in 325,400 refugees in 2017, accounting for almost 60 percent of the 540,000 migrants resettled last year. The statistics office said that about 33 percent of the migrants were from Syria, followed by Afghanistan, which accounted for 19 percent of the refugees. Refugees from Iraq accounted for 12 percent.